Since I first went it Paris in 2012 it has always had a special place in my heart. It’s a beautifully grand and majestic city and I can always get lost in the meandering streets and find my way back home. Plus there are beautiful baguettes, crepes, macaroons, cheeses and meats on every corner. It was however, becoming all too apparent that our trip of a lifetime was coming to a close within the next week which was slightly depressing. After arriving in the morning from our overnight bus once more, we only had a day and a half together in Paris before I was heading to Venice for Carnevale while my friend stuck around for a few more days and then returned to Amsterdam for a final farewell with her exchange friends. We stayed at the Regent Montmartre Hostel north of the centre of the city so that we could easily visit Montmartre as well as come into the city when we pleased. Considering accommodation prices in Paris this worked out well and wasn’t too far at all from the central attractions. 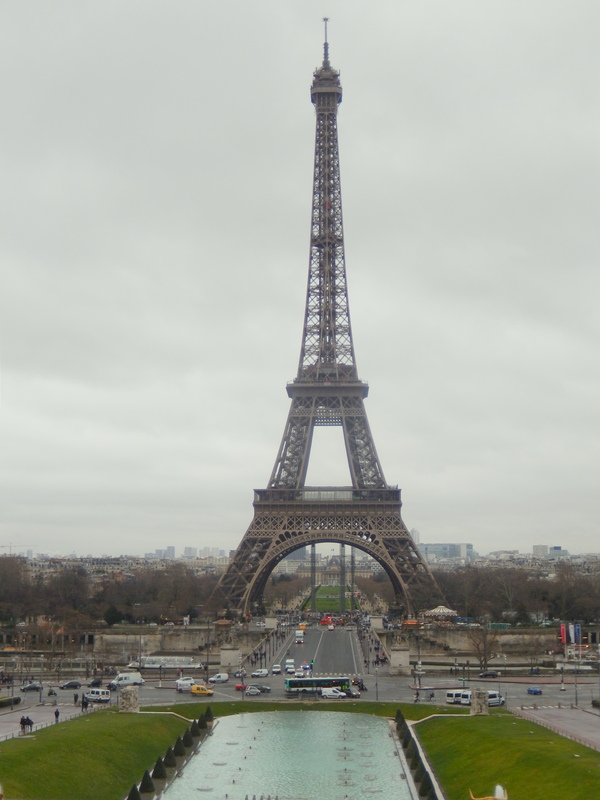 Paris is quite spread out anyway with the Arc de Triomphe and Eiffel Tower far from attractions suh as Sacré Coeur. As classic tourists, on day 1 we decided to place a lock on the Pont de l’Archevêché. (we soon found out on the walking tour that the locks were removed every 6 months to make room for new ones, but the token act must count for something, we just now know not to get too distraught when we can’t find it in 30 years time…) We then met up for the walking tour which as usual was very insightful into some interesting and fun history. We sampled snails, macaroons and crepes and walked the streets of Paris just admiring the beautiful architecture and grandness of the city. Then it was off by myself for the first time in a month with the longest, most uncomfortable bus transit to date. Let’s just say 21 hours next to a nice old lady cramped on a full bus to Italy via every city under the sun, including Milan, Florence, Bologna and many others was not my favourite experience of the trip. Plus I had accidentally left my book in my backpack under the bus and my iPod had about 2 hours of charge in it. But it was worth it. More to come on Venice with some beautiful photos of the city and unforgettable Carnevale.